The Union Ministry of Health & Family Welfare mandated an increase in the size of pictorial warnings from 40% on front of the packs to 85% on both sides with effect from 1st April 2016. 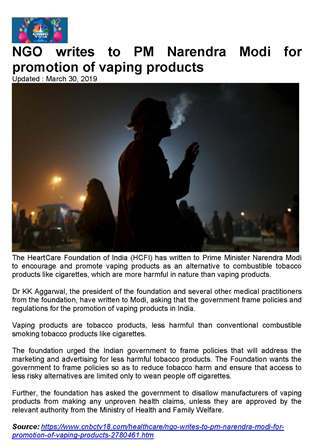 The Government has taken such an extreme position on warnings overlooking the huge livelihood dependency and enormous socio-economic benefits of Tobacco in India. 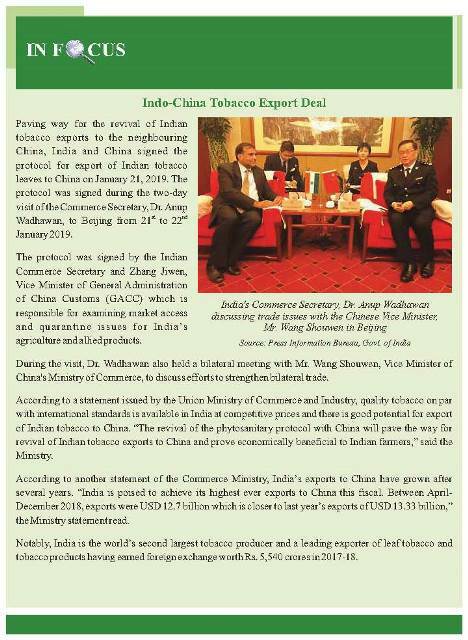 Being the world’s 2nd largest producer, tobacco is an extremely important commercial crop for India. It provides livelihood to more than 45.7 million people, including farmers, farm labour, rural poor, women, tribals etc.,70% of whom are engaged in the agricultural sector. Tobacco products generate a significant share of the country’s tax revenues amounting to more than Rs.34,000 crores annually. In addition, foreign exchange earnings through the export of tobacco & tobacco products garner around Rs.5,500 crores annually. Tobacco is grown in semi-arid and non-irrigated lands where no other remunerative cultivation is possible. In such a situation, the excessively large 85% warnings are having a severe impact on the livelihood of farmers and other industry stakeholders by providing a huge boost to the illegal cigarette trade in the country. The unfettered growth in illegal cigarette trade is adversely impacting farmer incomes, the livelihood of millions dependent on the legal Industry and affecting Government’s revenue collections. The Cigarettes and Other Tobacco Products (Prohibition of Advertisement and Regulation of Trade and Commerce, Production, Supply and Distribution) Act, 2003 (“COTPA”) requires the warnings to be legible, prominent and conspicuous which was fully met by specified health warning covering 40% of the front panel of packs. The 40% warning requirement was decided upon by a Group of Ministers constituted in 2007 to evaluate pictorial warnings. 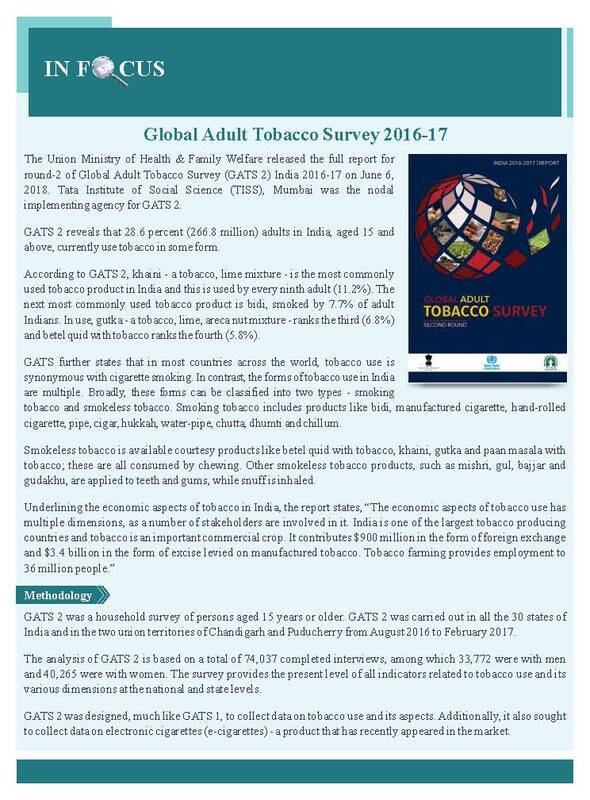 Moreover, the Global Adult Tobacco Survey (GATS) 2009-10, conducted by the Ministry of Health and Family Welfare, had found that 71% of cigarette consumers were aware of the warnings within a few months of the implementation of pictorial warnings in the country. Apart from pack warnings retail outlets are mandated to display boards prominently with a warning of size 60 x 30 cm. These warnings also help to caution the consumers. Hence, it is clear that the 40% pictorial warning on the front of the pack were adequately serving the purpose of cautioning the consumers. The top five tobacco producing countries (excluding India) have not adopted excessive, over-sized warnings. The top three cigarette consuming countries, viz., United States, China and Japan, between them accounting for 51% of global cigarette consumption, have not opted for pictorial warnings. Instead, they have opted for text-based warnings which adequately caution the consumers. Importantly, the US Court of Appeals in the District of Columbia in a detailed judgment has held that similar health warning images chosen by the US Food and Drug Administration (FDA) were unconstitutional, being “inflammatory and unabashed attempts to evoke shock and embarrassment to browbeat consumers into quitting”. The Court also found that there was no evidence to show that the images would reduce the number of smokers. The tobacco consumption pattern in India is unique in that only 10% of total tobacco is consumed in the form of legal Cigarettes. The balance 90% of tobacco consumption is in other forms and illegal cigarettes. This is unlike western countries, where cigarettes are the dominant form (>90%) of consumption. The legal cigarette industry in India is in the organized sector, is licensed and is completely compliant with all tobacco control and other regulations while the bulk (68%) of tobacco consumed is largely produced in the unorganized sector where compliance and enforcement are extremely difficult. This large unorganized sector pays little tax either due to tax exemptions or evasion. The products from this sector are cheaper, have little statutory oversight and do not comply with regulations under Cigarettes and Other Tobacco Products (Prohibition of Advertisement and Regulation of Trade and Commerce, Production, Supply and Distribution) Act, 2003 (COTPA). As a consequence, despite the regulatory framework, consumption has shifted to low priced, low revenue yielding, non-compliant alternatives which are largely in the un-organized sector and to illegal products. 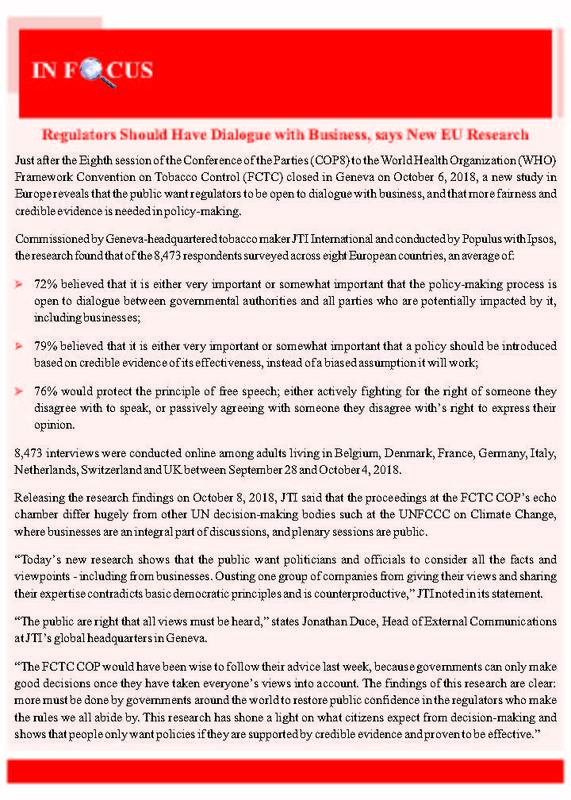 The extreme regulatory measure of excessive and large warnings is exacerbating the situation and further impacting the small organized sector resulting in rapid increase in overall consumption, thereby defeating the objectives of tobacco control. The thrust of tobacco regulations (like Pictorial Warnings) has been on the legal cigarette segment of the tobacco industry. 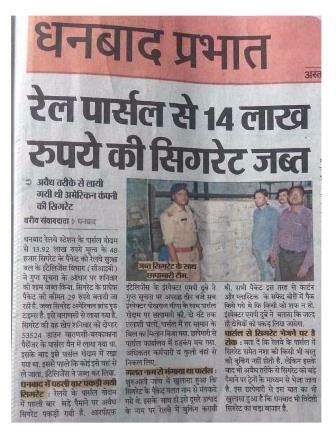 It provides a huge impetus to the illegal cigarette trade which is not -compliant with regulations in the country. 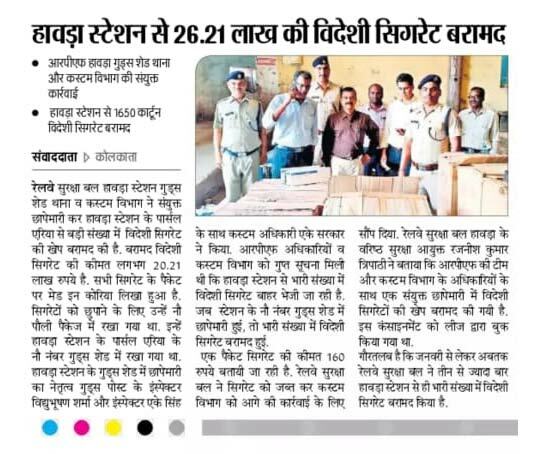 As a result, illegal cigarette trade has received a huge boost. 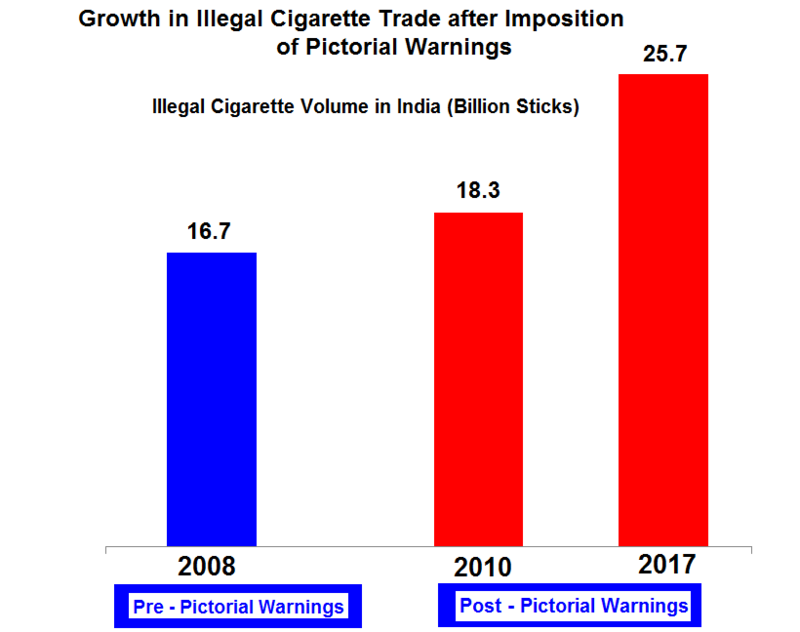 According to a recent study by Indian Market Research Bureau (IMRB) a part of Kantar Group, the world’s second largest Research, Insight and Consultancy Network, as a result of the change (implementation of 85% pictorial warnings), consumers have begun to demonstrate a noticeable preference for smuggled cigarettes which are freely available in the India market without the prescribed warnings and convey the impression that these are safer alternatives compared with legal cigarettes. With the regulations -compliant Legal Cigarette Industry already under huge stress of escalating taxes the extreme regulatory regime of excessive pictorial warnings is further eroding the volume base of domestically manufactured legal cigarettes and its entire value chain with contraband products receiving an added incentive. By not adhering to the specified warnings under COTPA, illegal cigarette trade undermines the tobacco control policies of the Government and deliberately creates the impression that these products are safer than the legal, regulation-abiding domestic cigarettes. 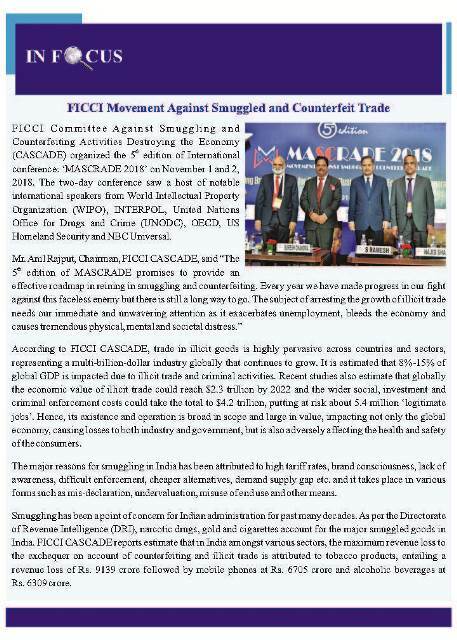 Another dangerous outcome of the increasing illegal trade is that it encourages the entry of organized criminal & terrorist syndicates, which could have serious consequences for the maintenance of law and order in the country. 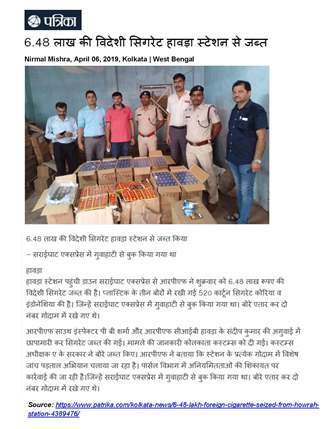 Internationally it has been reported, for example recently by The US Department of Homeland Security, that illegal profits from cigarette smuggling have been used to fund criminal activities. An uninterrupted growth in the illegal cigarette trade in the country has led to a consistent decline in the legal cigarette industry, which uses domestic tobaccos, impacting the domestic demand and prices for tobacco. The steep fall in legal cigarette volumes in recent year has resulted in lower utilization of tobacco in domestic cigarette manufacture thus affecting offtake of FCV tobacco grown by Indian tobacco farmers. 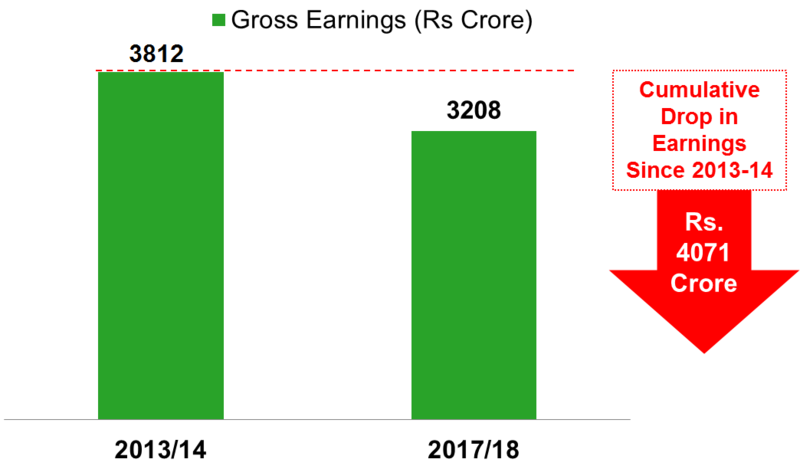 Notably, since 2013-14, the earnings of FCV tobacco farmers have shrunk cumulatively by more than Rs.4,000 crores due to drop in offtake of tobacco for the manufacture of domestic legal cigarettes. This disturbing market scenario has affected farmers’ earnings in past few years, leading to tragic suicides of 22 tobacco farmers in 2016 and is posing a challenge even now, with continuous stress on the legal Industry and the resulting adverse impact on earnings in the FCV tobacco growing States of Andhra Pradesh, Telangana and Karnataka. Due to declining demand, tobacco farmers are left with unutilized land with no remunerative alternative crop to grow on them. 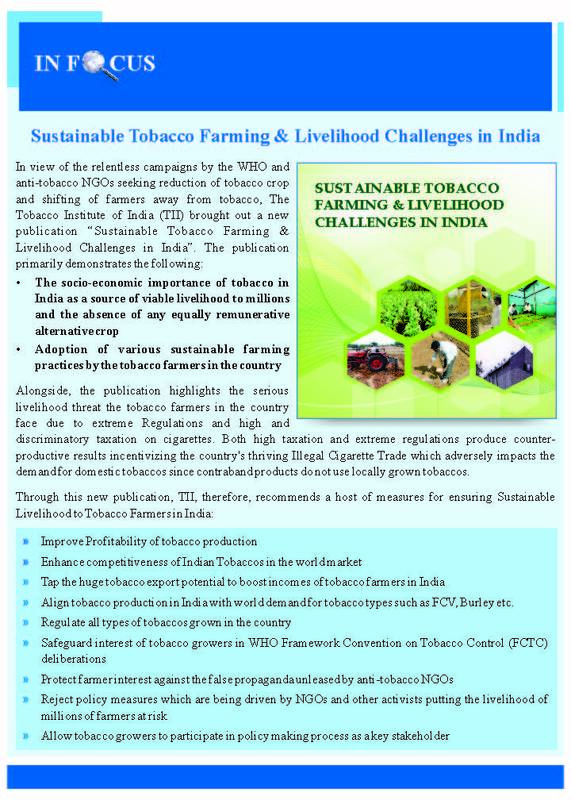 It is most unfortunate that the tobacco farmers in India, the second largest tobacco producing and a major tobacco exporting country of the world, have suffered due to fall in demand for tobacco grown by its farmers. Historically, it has been seen that extreme regulations produce counter-productive results. 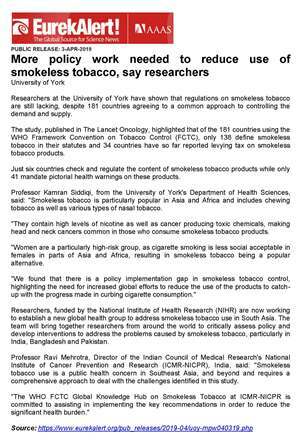 They do not reduce demand for tobacco, but merely shift it from the legal segment to cheaper, regulation non-compliant illegal options of suspect quality, thereby undermining public health objectives. The on-going distress of cigarette tobacco farmers and others dependent on tobacco for their livelihood makes it very important for policy makers in India to strike a balance between the country’s extreme regulations such as large pictorial warnings and the livelihood of millions of people.